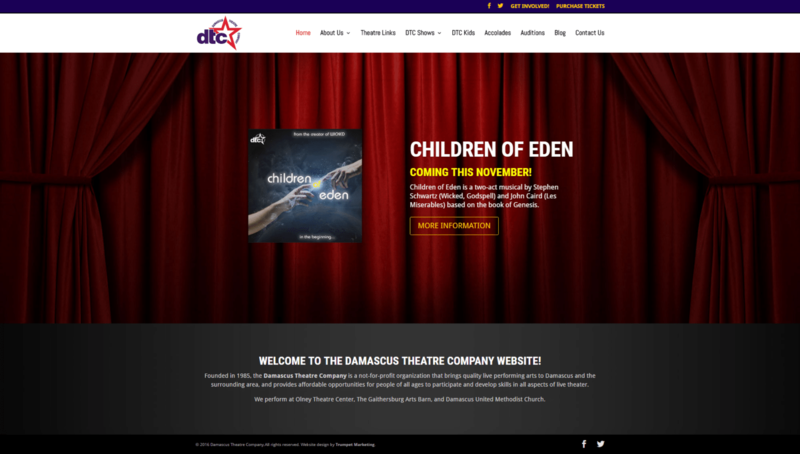 Trumpet Marketing has designed and built a new dynamic and responsive website for a Maryland community theatre company. Damascus Theatre Company is a not-for-profit organization that brings quality live performing arts to Damascus and the surrounding Maryland areas. The new website has a new easy to navigate menu system and provides updated information for current shows and upcoming performances. The new site is responsive which allows it to be easily viewed and navigated on all platforms from smartphones, tablets, laptops, to desktop computers.